Moscow, June 5, Interfax - The Russian Church believes the upcoming meeting between Russian President Vladimir Putin and Pope Francis may address the peacekeeping initiatives in the Middle East and the other regions, specifically, the issue of the protection of Christians. “We can expect that cooperation in this sphere between Russia and the Holy See will continue developing. Russia and the Vatican are very influential members of the UN and their joint actions aimed at protecting Christians, especially if they are joined by other countries, can be fruitful,” hieromonch Stefan (Igumnov), secretary of the Synodal Department for External Church Relations on Inter-Christian Relations, told Interfax-Religion on Friday. The priest recalled that the signing of a statement on the protection of Christians in the Middle East and in the other regions in the UN in Geneva in March 2015 was an important event. The statement was initiated by Russia, the Vatican and Lebanon, and the document was joined by several dozens of other countries. “It was the first such statement signed at such a high platform and it, no doubt, became an important event in the assistance to Christians in the Middle East,” the priest said. 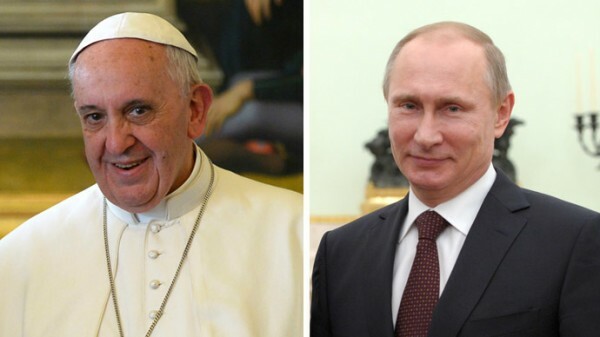 Vatican spokesman Ciro Benedettini earlier said the pope plans to meet with Putin on June 10, Russian presidential press officer Dmitry Peskov said preparations are being made for such a meeting.